Highland Fairways in Lakeland, Florida is a 55+ community that offers residents an active lifestyle. Homeowners in the community enjoy the numerous amenities and activities offered. The area surrounding Highland Fairways also offers a myriad of shopping, dining, and entertainment. Homebuyers looking to purchase in Highland Fairways can select from a number of single-family homes available on a resale-only basis. Built around the Highland Fairways Golf Course, most homes in the community offer beautiful golf course views. Great amenities and low-maintenance homes in a beautiful setting provides Highland Fairways homeowners an excellent active adult community in Lakeland. Highland Fairways offers an abundance of country club-style amenities. Residents enjoy a clubhouse with an exercise room, great hall, conference room, and catering kitchen. Many of the clubs established in the community meet in the great hall or conference room. Behind the clubhouse residents can take a swim in the outdoor pool, relax in the outdoor spa or lounge with a book on the outdoor patio. With ten shuffleboard courts and an outdoor tennis court, staying active with neighbors is easy at Highland Fairways. For a small annual fee residents of Highland Fairways have the opportunity to join the semi-private Highland Fairways Golf Club. This 18-hole executive golf course offers great play for all skill levels. Members also have full use of the golf practice facilities in the community. Comprised of 660 single-family homes, Highland Fairways was built by Florida Leisure Communities between 1983 and 1998. Homes in this community offer low-maintenance living with beautiful golf course and water views. Most homes have at least two bedrooms, two bathrooms, and an attached one or two-car garage or carport. A low annual homeowners' association fee covers all lawn care for all the homes in the community. Residents of Highland Fairways enjoy a low-maintenance and active lifestyle. Numerous clubs such as bridge, scrabble, and pool volleyball are available to residents in the community. Shuffleboard and golf tournaments are organized with play available to match anyone's skill level. Day trips to surrounding areas are planned weekly and larger trips such as cruises are also available to join. There is surely something for everyone at Highland Fairways. 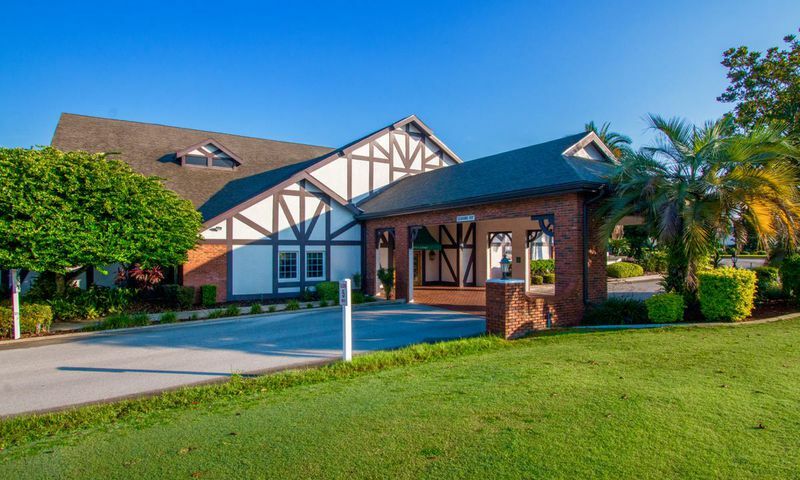 Highland Fairways is located in beautiful Lakeland, Florida. Situated just 40 minutes east of Tampa, this area offers endless opportunities for shopping, dining, and entertainment. Close proximity to Interstate 4 makes travel to other parts of Florida a breeze. Lakeland is known for its numerous lakes, which offer great fishing, boating and other water sports. Golfers will enjoy the many courses in the area as well. With a great climate and beautiful surroundings it's easy to see why so many active adults enjoy living in Highland Fairways. There are plenty of activities available in Highland Fairways. Here is a sample of some of the clubs, activities and classes offered here. Homes in this community offer low-maintenance living with beautiful golf course and water views. All homes in the community offer at least two bedrooms, two bathrooms, and an attached one or two-car garage or carport. Please Note: Floor plans are not available at this time. I just bought a nice little place here a couple months ago. It's an unbeatable value. Well under $150k and the place had already been nicely updated with new floors, paint, appliances, etc. I like the area and prefer a casual community rather than something really fancy and stuffy. People here are nice. 55places.com is not affiliated with the developer(s) or homeowners association of Highland Fairways. The information you submit is distributed to a 55places.com Partner Agent, who is a licensed real estate agent. The information regarding Highland Fairways has not been verified or approved by the developer or homeowners association. Please verify all information prior to purchasing. 55places.com is not responsible for any errors regarding the information displayed on this website.